If you get your water from a well, there’s a chance that it could be contaminated with something known as coliform bacteria. This is bacteria which can be found on the surface of soil, and can be harmful if consumed. Coliform bacteria come in a number of different species, some of which are harmless, and some of which can be rather toxic. If you have coliform bacteria in your water, it’s wise to have it removed. Let’s discuss the importance of eliminating coliform bacteria from your Kildeer water supply. When some forms of coliform bacteria are consumed, they can result in gastrointestinal infections. These gastrointestinal infections are accompanied by a variety of different symptoms, including diarrhea, vomiting, nausea, and more. In many cases, antibiotics will need to be taken in order to eliminate these infections. If left untreated, they can lead to long-term damage. One of the more common forms of coliform bacteria is E. coli. When consumed, this species of bacteria can wreak serious havoc on your body. One of the ways in which it wreaks havoc is by causing urinary tract infections, or UTIs. In fact, it has been found that around 85% of uncomplicated UTIs are caused by E. coli. UTIs come with a number of symptoms, including abdomen pain, bloody urine, and a burning feeling during urination, to name just a few. In many cases, food poisoning comes about due to the consumption of E. coli bacteria. 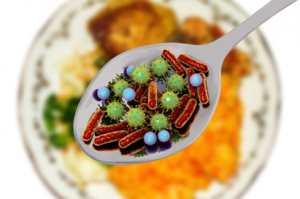 Therefore, because coliform bacteria includes E. coli, coliform bacteria can potentially result in food poisoning. There are a number of different symptoms which come with food poisoning, including diarrhea, nausea, vomiting, and dizziness, to name just a few. These symptoms can present themselves with varying degrees of severity, with some being very minor, and others being a serious cause for concern. Perhaps the most serious negative health effect that can come from coliform bacteria is typhoid fever. Typhoid fever is a very serious disease which, if left untreated, can result in death. Its symptoms include everything from rash, to headaches, to stomach pains, to inordinately high internal body temperatures. Typhoid forms as a result of a bacteria known as Salmonella Typhi. While very rare, this disease is one to avoid at all costs. In most cases, the surest way to eliminate coliform bacteria from your water is by utilizing a chlorine injection system in Kildeer. Chlorine injection systems operate by periodically pumping small amounts of chlorine into their corresponding water supplies. Designed to accommodate a wide variation of water supplies, they are affordable and easy to install. Chlorine has been credited with eliminating waterborne diseases in countries all across the world. It is entirely healthy when consumed in small amounts. In fact, most municipal water supplies are treated with chlorine. Looking to install a chlorine injection system in Kildeer, Illinois? If so, we here at Johnson Water Conditioning are the people to see. As a family owned and operated water softening company, the community of Kildeer has trusted us for 82 years. We manufacture, supply, and install chlorine injection systems to accommodate water supplies of all different sizes. Our team of dedicated water conditioning specialists would be happy to help rid your water of dangerous bacteria.